La Palombiere campsite is a stunning family friendly campsite that occupies a wonderful position in the heart of the rolling hills and unspoilt countryside of the Dordogne region of France. This 5 star quality campsite is set within beautifully landscaped, wooded grounds with lots of stunning plants and trees to give you shade from the summer sun, privacy from other visitors and a pleasant atmosphere in which you can relax whilst of holiday. The campsite is well laid out and the range of facilities are excellent, with many of them being located within the beautifully converted traditional farm buildings which give a real sense of the traditional side of the Dordogne. Those looking to get out and about will find a whole variety of places to see and visit nearby. A must however is the local town of Sarlat which is one of the regions most photographed towns. 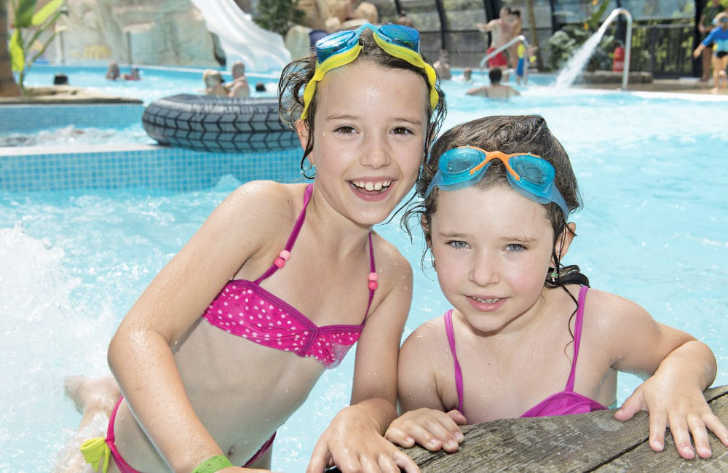 Those happy to stay on-site however, will find a whole range of great activities to get their teeth into, making La Palombiere Campsite one of the more popular campsites in the area and the perfect holiday location. Back at La Palombiere Campsite you’ll find the perfect place to relax and have fun with an excellent on site pool complex. Boasting a number of fantastic indoor and also outdoor swimming pools and water slides, children and adults will have plenty of fun and excitement splashing around in the water. When you need a break from the water why not sit back and relax with a snack or a drink at the bar or chill out on the sun terrace. La Palombiere Campsite offers a comprehensive selection of activities and facilities on site and also nearby to ensure you have a fantastic family holiday. On-site activities at La Palombiere Campsite include tennis, table tennis, football, badminton, basketball, volleyball, gym, boules, mini golf, trampolines, playground and cycle hire. Facilities available at La Palombiere Campsite include WIFI, restaurant, takeaway, bar, groceries, games room, tv room, animation team, washers and dryers. Accommodation at La Palombiere Campsite includes a range of 2 and 3 bedroom mobile homes and tents that are available from Eurocamp.